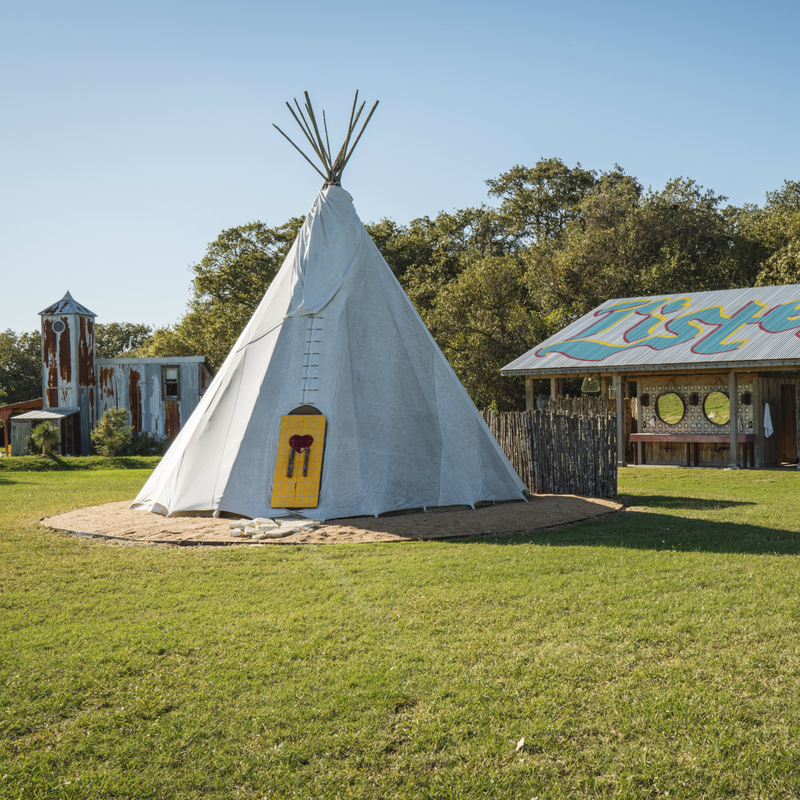 Halfway between Austin and Houston in Round Top is Rancho Pillow, a 20-acre compound marked by technicolor accommodations that are the definition of whimsy. It all started as an artistic family home but has since become a playful wonderland for the public. Rancho Pillow offers a few lodging options, each boasting its own quirks. There’s the expansive Red House, the charming Love Shack, the funky Tower House, the intimate Teepee, and the 18th-century Barn (a sort of centerpiece for the whole place). 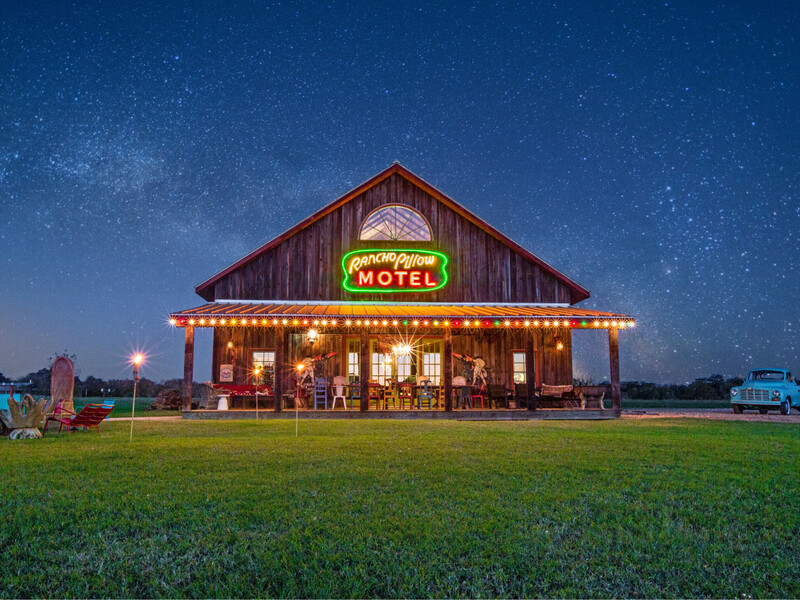 Round Top is nationally renowned for its annual antiques fair, so it’s only fitting that there are various vintage items around the place along with additional eccentric touches. During your stay, don’t feel restricted to hide out in your chosen abode. Feel free to wander the grounds where you’ll find a bathhouse, heated saltwater wading pool, playground, and fire pit. When you’ve had enough rest and relaxation, you can ask the staff to set up some outdoor games for you like Frisbee golf, croquet, or kickball. Any horror movie buffs in the house? Less than an hour drive east from the city in Bastrop is a wonderfully sketchy gas station that was used as a key location in the original The Texas Chainsaw Massacre film. Nowadays, it’s simply called The Gas Station or Texas Gas Station, but you may remember it as Last Chance Gas, the filling station/barbecue restaurant where the cannibalistic Sawyer family made chili out of their victims. The once run-down outpost has since been renovated as a tribute to the cult classic, right down to the exact model of gas pumps, chairs, and Coke machine. 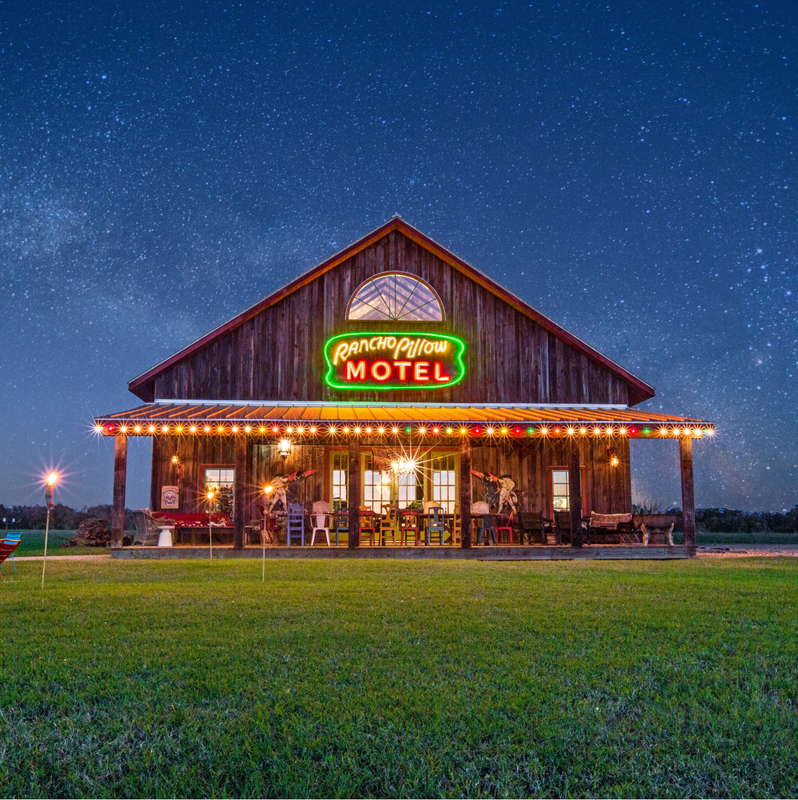 To the delight of the movie’s fans, there are small cabins in the back for overnight stays, as well as a barbecue restaurant, cleverly called We Slaughter Barbecue. Don’t worry, there’s nothing sinister going on in the kitchen here — just plates of good ol’ Texas brisket, sausage, chopped beef, and sides. You can also peruse their gift shop of scary movie memorabilia to pick up a souvenir before you head home. 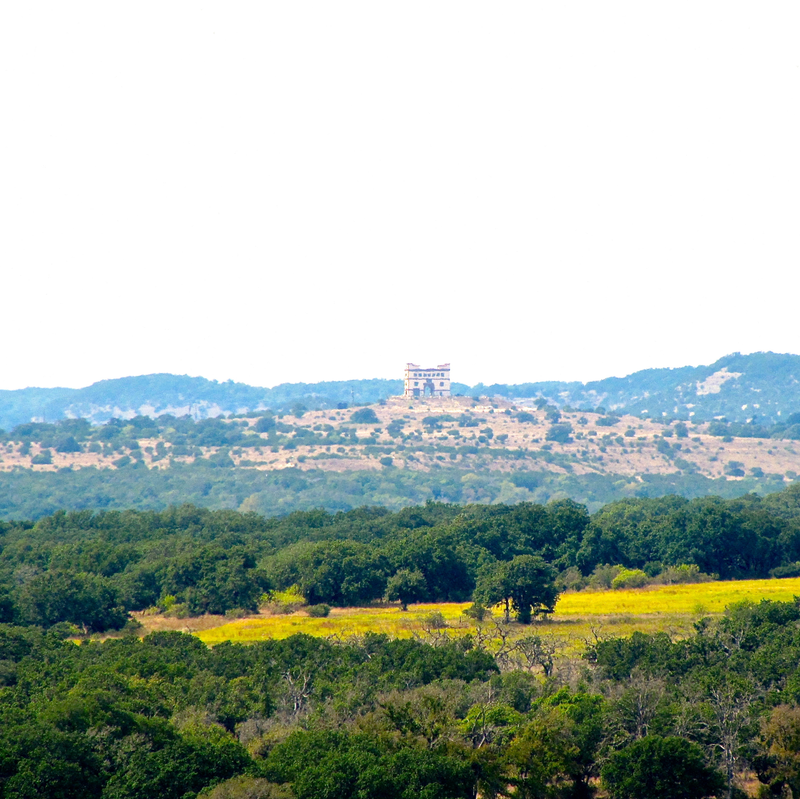 If you’ve ever driven out on Highway 290 on the way to Fredericksburg, you may have caught a glimpse of an unusual arch on top of a tall hill overlooking the countryside. That’s Arc de Texas, a wine bar and vacation rental rolled into one. Along with the tasting room that has choice wines from around the globe, it boasts four private suites and a rooftop terrace. And that’s just one of a few spots you can stay in at Lighthouse Hill Ranch. The other standout choice is the Lighthouse, which is an 86-foot tall structure on top of an over-200-foot-tall hill. All that is to say you’ll get some pretty breathtaking views from its window-lined observatory. If something simpler is more your style, you can rent out one of the other five houses scattered across the scenic property. 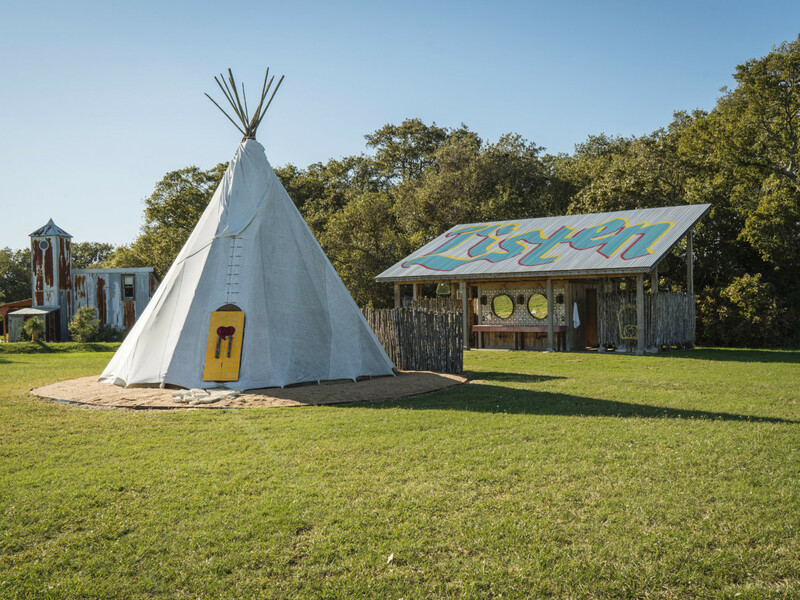 Lighthouse Hill Ranch spans over 2,000 acres, so it’s perfect for those looking for a mix of comfortable accommodations and the beautiful outdoors. Relax by the waterfall grotto, take a dip in the creekside hot tub, or hike along some of the 50-plus miles of trails. For those wanting to kick it up a notch, you can also go canoeing, horseback riding, and ATVing. 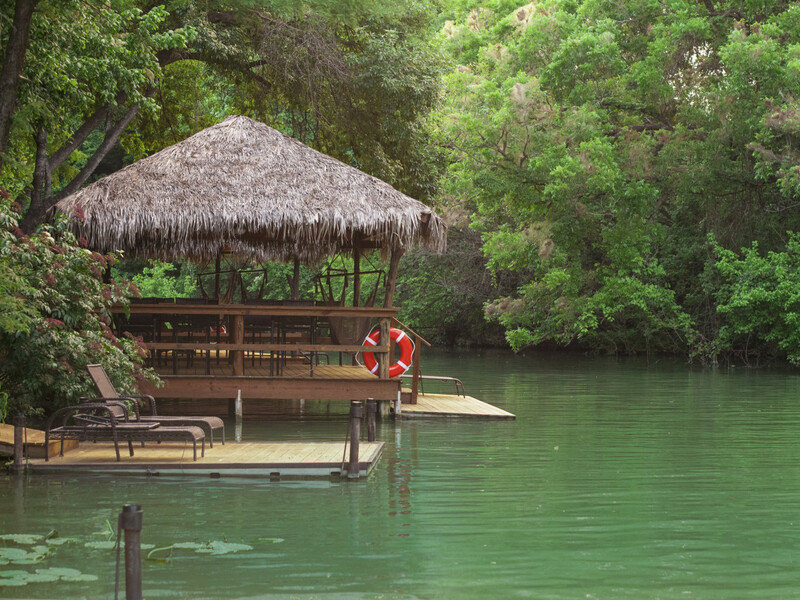 Many people think of the Guadalupe River as a place to go tubing during those scorching hot summer months without realizing there’s a private paradise tucked away on its waters. 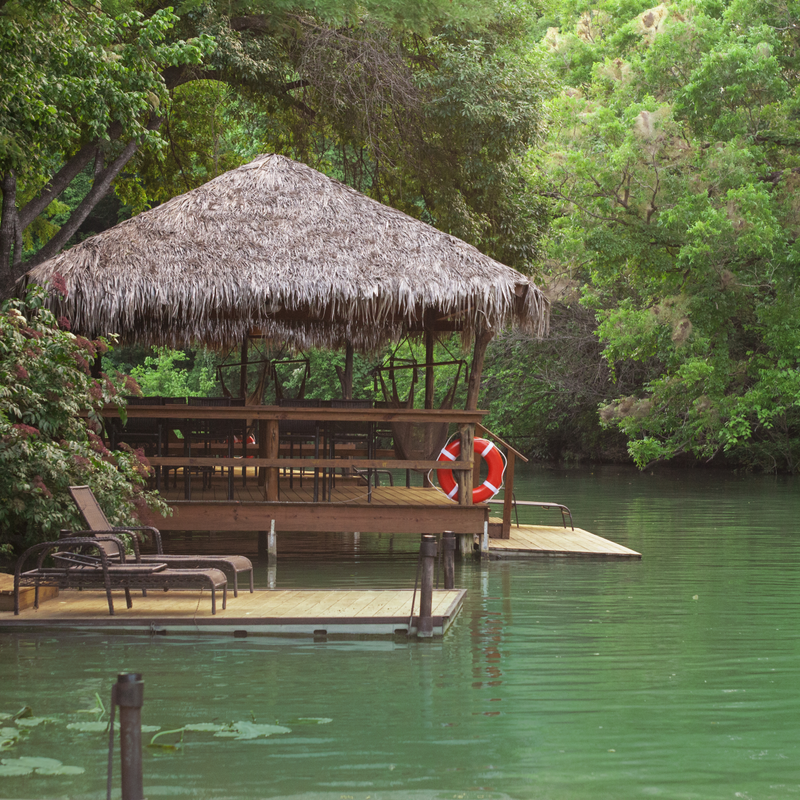 Son’s Island is a little-known oasis located in Lake Placid, a portion of the river that’s just a 20-minute drive from New Braunfels in Seguin. So yes, it actually is an island! What Son’s Island lacks in size (it’s only 3.5 acres), it makes up for in fun. Think of whatever lake activities you love, and chances are you can make it happen here. Seriously — there are kayaks, paddleboats, paddleboards, hydro bikes, and iFloats. Don’t forget to take a turn on the rope swing or giant frog slide, too. If you’re just looking for a place to hang out during the day, you can rent one of their cabanas, which come with convenient amenities like a picnic table, hammock, barbecue pit, and private swimming and fishing dock. If you’d like, you can extend the cabana rental into the evening or go for their overnight glamping option. For those planning for a big celebration, you can go ahead and reserve the entire island. 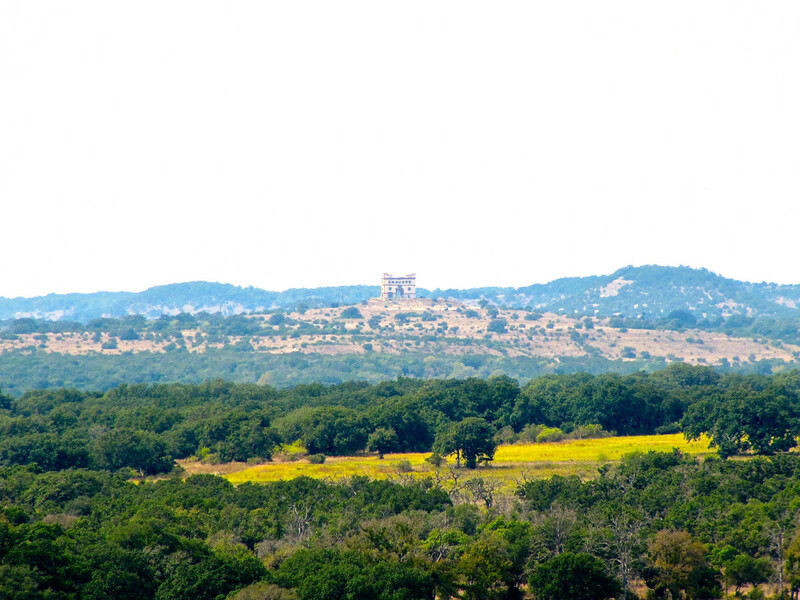 Don’t expect to find the standard selection of livestock at this Hill Country ranch. Instead, Exotic Resort Zoo has the likes of kangaroos, camels, zebras, and many other distinctly un-Texan animals. In fact, there are over 500 exotic animals from about 40 different species roaming the 137 acres. Many visitors to Exotic Resort Zoo call it a day after a guided safari excursion around the property or a trip to the petting zoo areas, both of which are fun opportunities for close-up encounters with the wildlife. But for those of you looking to spend a little more time in this fun refuge, you’re welcome to rent out one of their five cabins on the property. 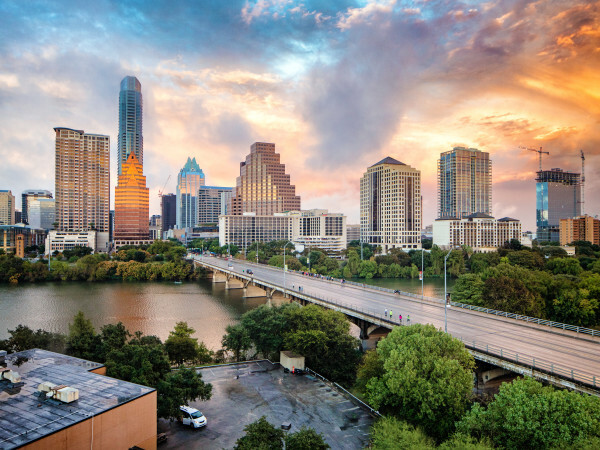 These buildings offer guests picturesque views of the zoo and prime placement for taking in those stunning Texas sunrises and sunsets.